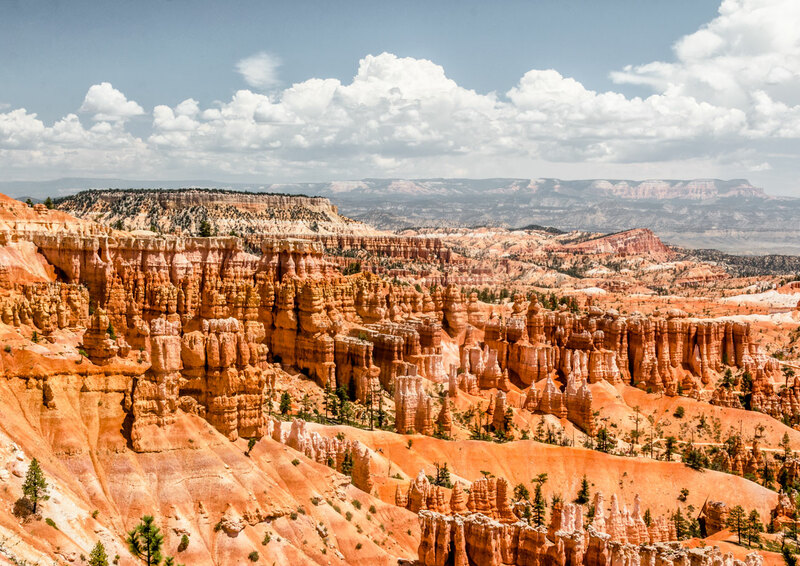 Next after Yellowstone the red landscapes of Utah was my most anticipated place to see on my US National Park trip. 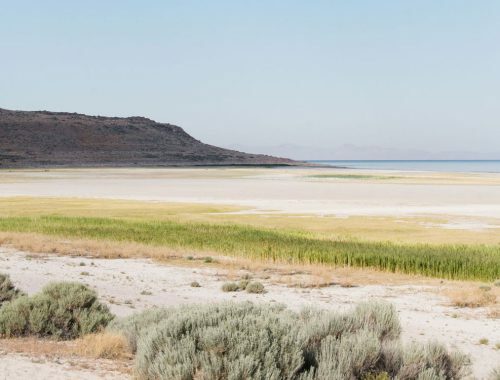 There are so many beautiful parks in Utah that you could easily spend your entire holiday here. 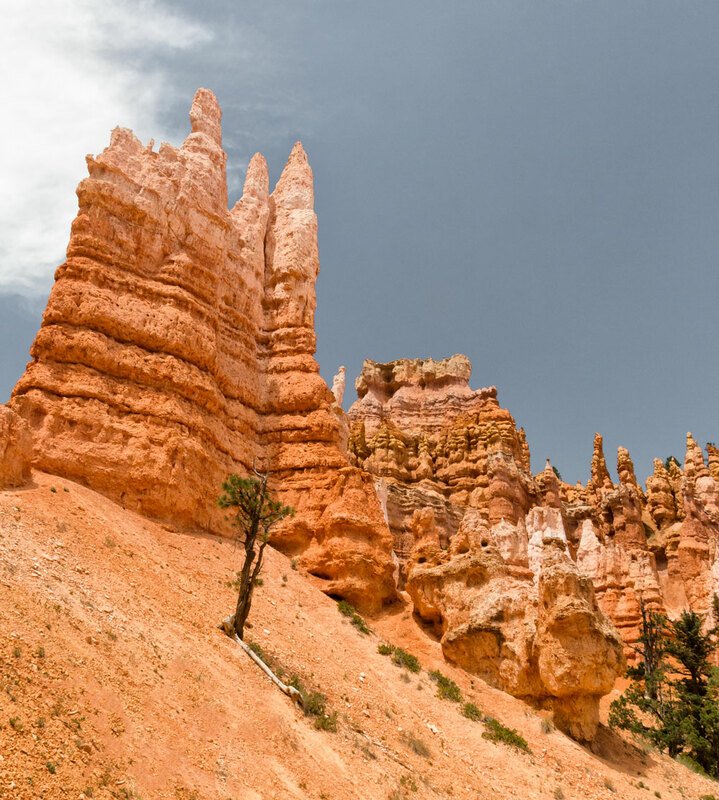 I think my favorite place in Utah was actually Bryce Canyon. 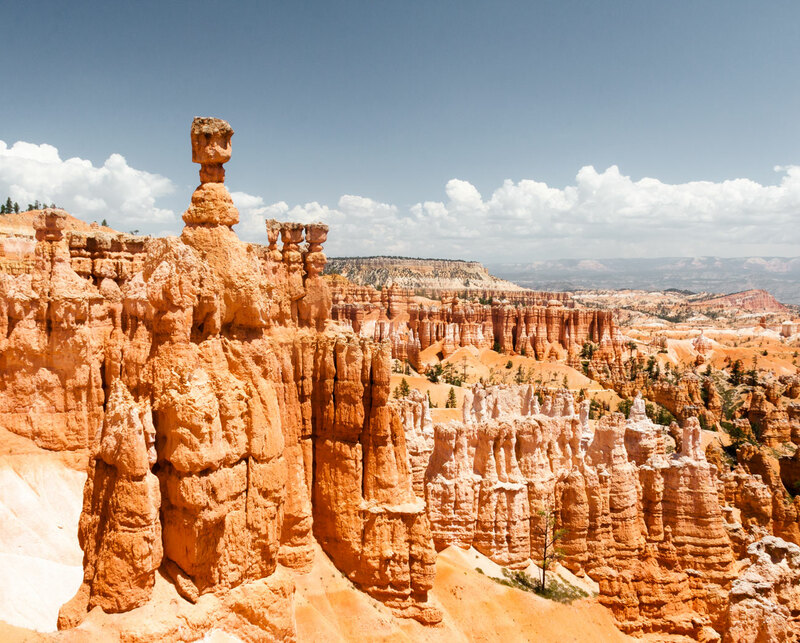 The view from the rim is beautiful and the walk down the canyon is so easy and equally beautiful. 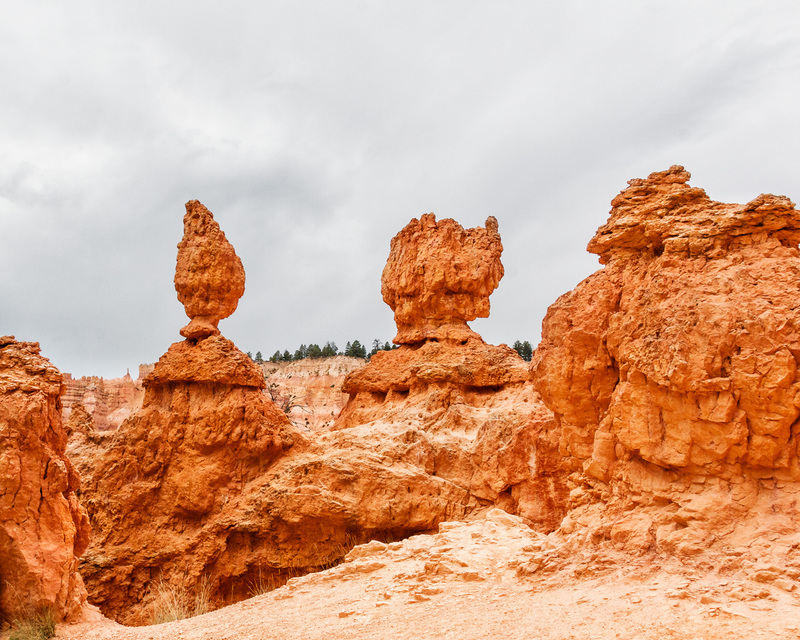 You are walking between strange rock formations (the so-called hoodoos that almost looks like people) with tiny hummingbirds flying around. 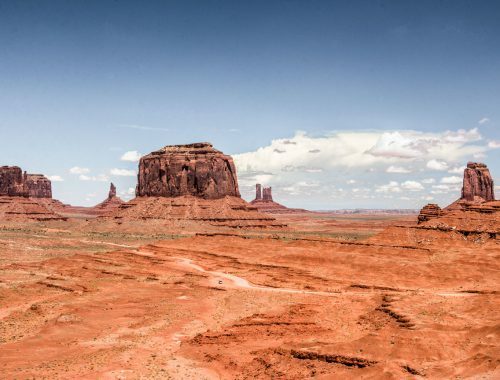 I walked the Navajo trail and Queen Garden’s trail combination and saw the two viewpoints Sunset Point and Sunrise Point. The view from the rim at Sunset Point. 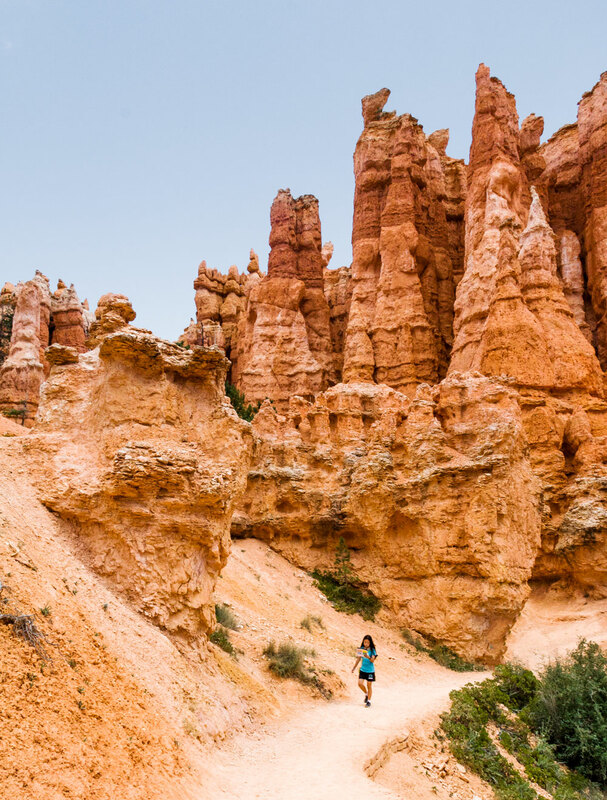 Near the Sunset Point you will find the beginning of the Navajo Loop trail. The rock in front in this picture is called Thor’s Hammer. The hummingbirds were flying about in Bryce Canyon and at one point a few of them sat still in a tree long enough for me to get this shot. 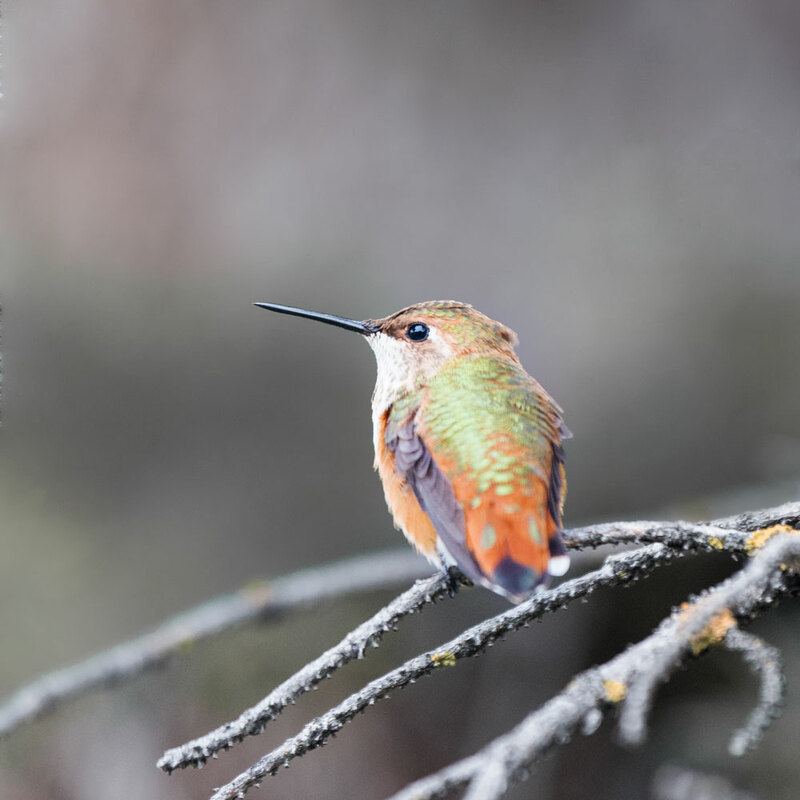 I have never seen a hummingbird before and was so thrilled I managed to see them up close and get a good shot of this pretty little fella. 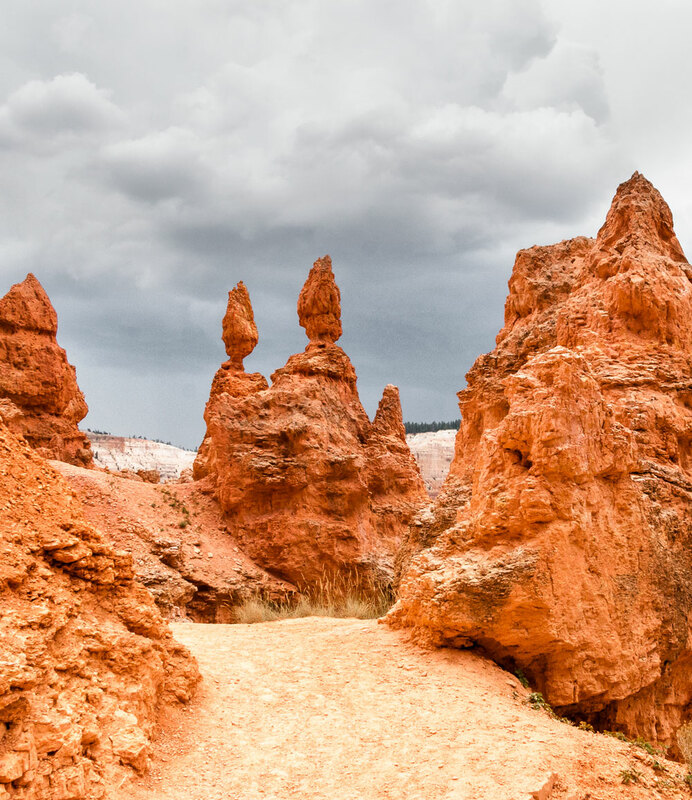 The Navajo trails runs into the Queen’s Garden trail. 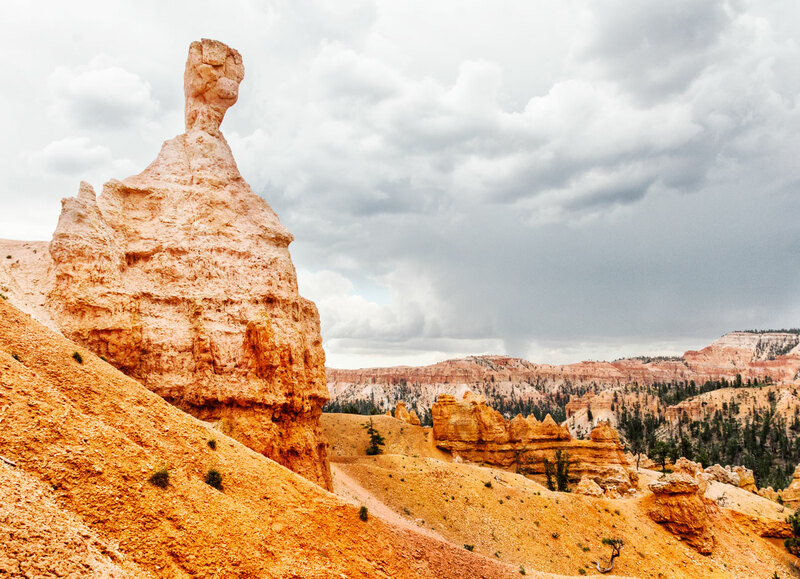 It is named after a rock shaped like Queen Victoria overlooking her garden of Hoodoos. Can you spot her on the photo below? 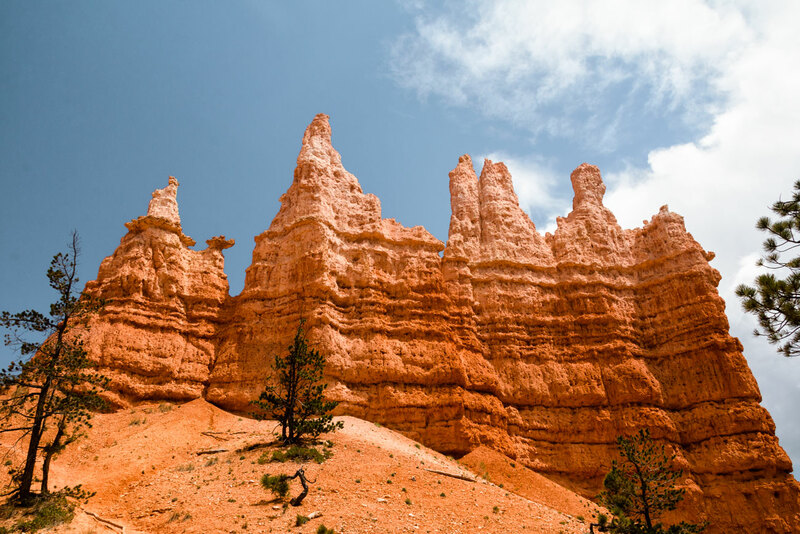 Here you will find even more funny shaped hoodoos and beautiful views over the desert landscape. 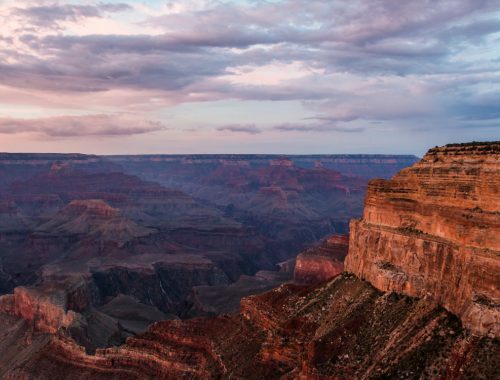 The trail ends at Sunrise Point at the rim where you can once more admire the whole landscape from above. 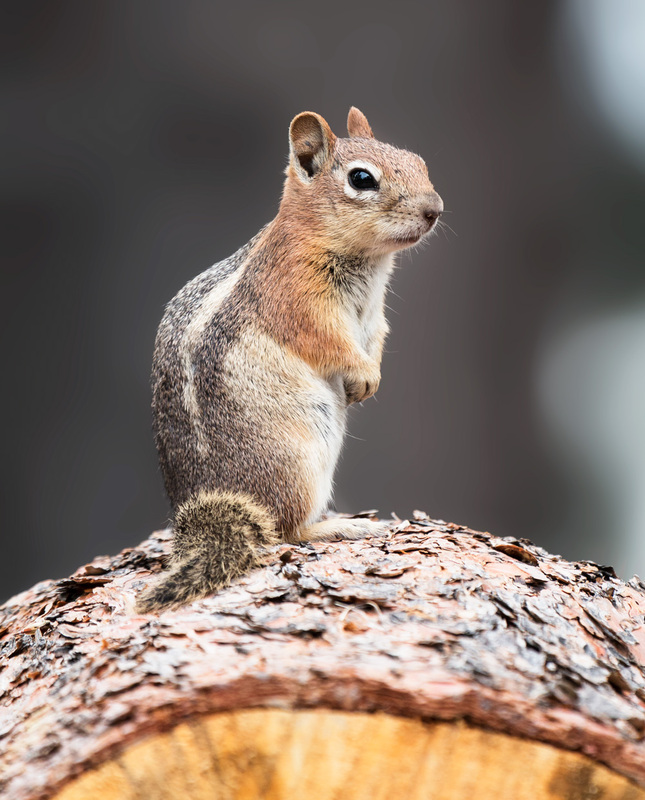 This little chipmunk posed for me a little while. I am so pleased with this shot – it’s so sharp you can almost feel its fluffy fur. I am so glad I didn’t carry my large and heavy 100-400 mm lens around for nothing! 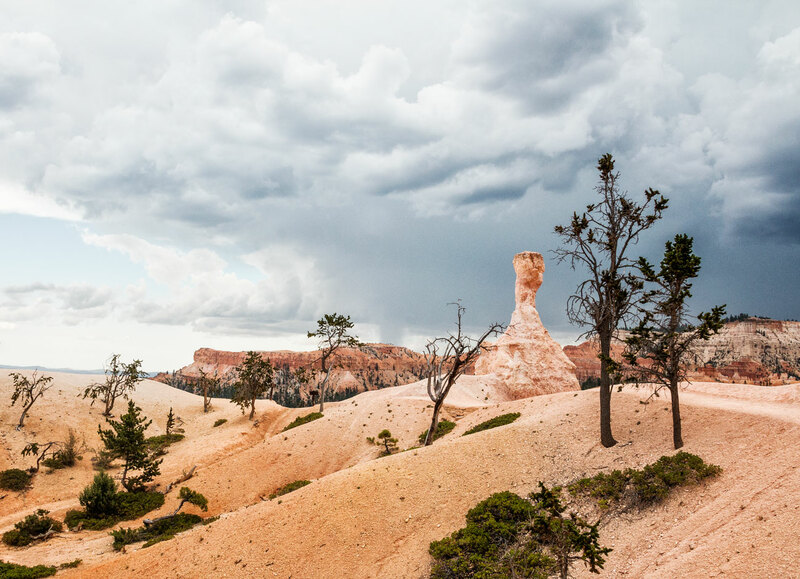 On my way around Bryce Canyon the weather changed from clear skies to grey with a thunderstorm in the distance. I almost felt I was a part of a Dali Painting.